On the Sussex coast, close to the dramatic white cliffs and sea, Florence House sits impressively in a wild, windswept landscape of downland. It dates from the 1920s when a local merchant built it as a wedding present for his daughter. 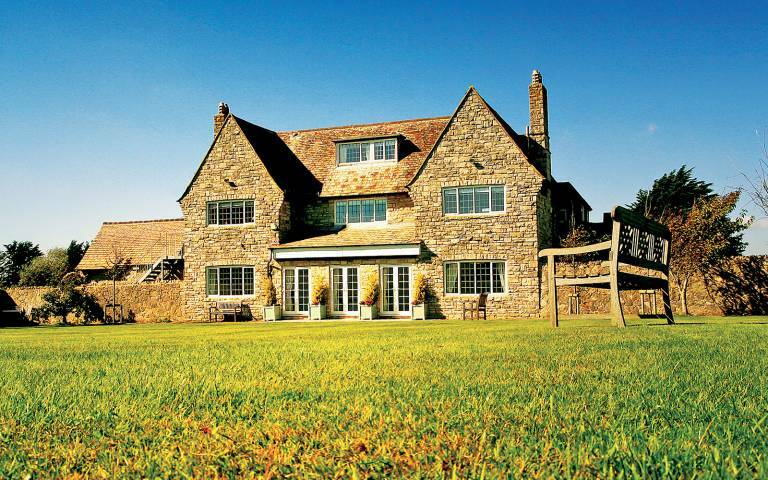 Close to South Downs National Park, the house is set in 6 acres of outstanding natural beauty. The abundant gardens have lots of special, enchanting places to visit and there are many idyllic, stirring walks to have in the immediate area. Inside is warm, relaxed and friendly – yoga and workshops take place in a huge light-filled room of many French windows looking out on to the stunning views whilst a wood-stove warmed yurt in the garden is the setting for relaxing massage treatments. A wood panelled room provides a cosy crèche and there’s also a sofa filled reading room for chatting, relaxing and reading. The bedrooms are cosy and comfortable, each with a double bed. The delicious and creative food is fantastic, mostly organic and locally sourced where possible. It is also vegetarian. London is only an hour away and Brighton a 20 minute car journey. Florence House is also close to Seaford station and Eastbourne (with direct links to London Victoria).